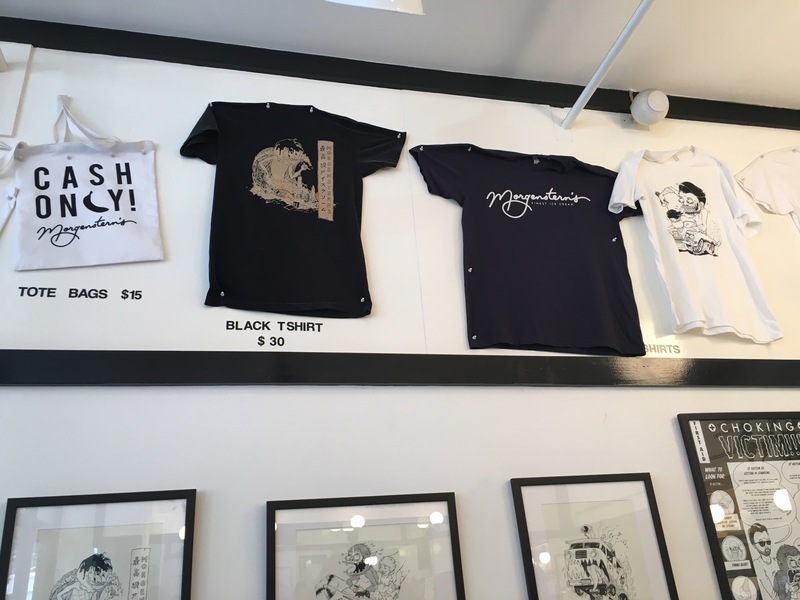 Morgenstern’s has a wonderful reputation in New York City, so it made complete sense that they were being interviewed the day I was there. 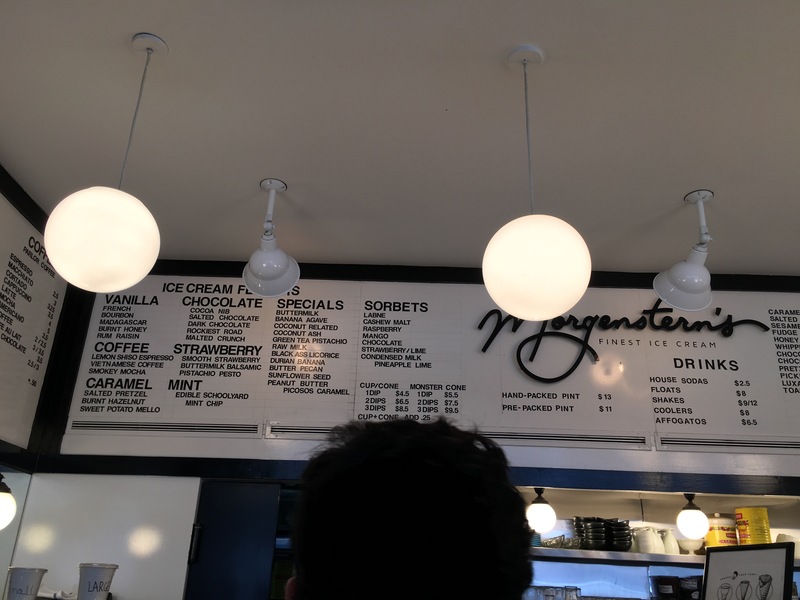 My husband and I made Morgenstern’s a destination and we weren’t disappointed. It was really hopping the afternoon we were there. A dozen people filled into the small store quickly as we waited, and they probably served forty people total while we were in the store purchasing and eating. Prices are significantly more expensive here than in other parts of the country, but for New York it felt reasonable. $6.50 for two scoops, plus tax, so we spent about $14 for two dishes of ice cream. The staff here was fantastic and super helpful. They let us try things, advised us and complimented our choices, and they told us to enjoy as they handed us our selections. It was impressive in such an overflowing, busy place. Despite the limited seating it turned over quick so we had a place to perch. Before commiting to a flavor I tasted lemon shiso espresso. As promised, you could really taste all three flavors! I loved it. It almost melts in your mouth thanks to the texture. Buttermilk – Wow! The buttermilk has an awesome sour punch but a real sweet cream to it as well. A winner! It’s tangy. Bourbon vanilla – Outstanding. This has a 40% booze content apparently. It’s delicious bourbon and the vanilla bean is the epitome of what vanilla can be. Due to the higher alcohol content, they struggled a bit with the texture which Ross wasn’t fond of – it’s a more slushy ice cream. But I loved the flavor immensely and seemed to overlook that. Raw milk – This is simple, sweet and creamy – but not too sweet. It’s so good! 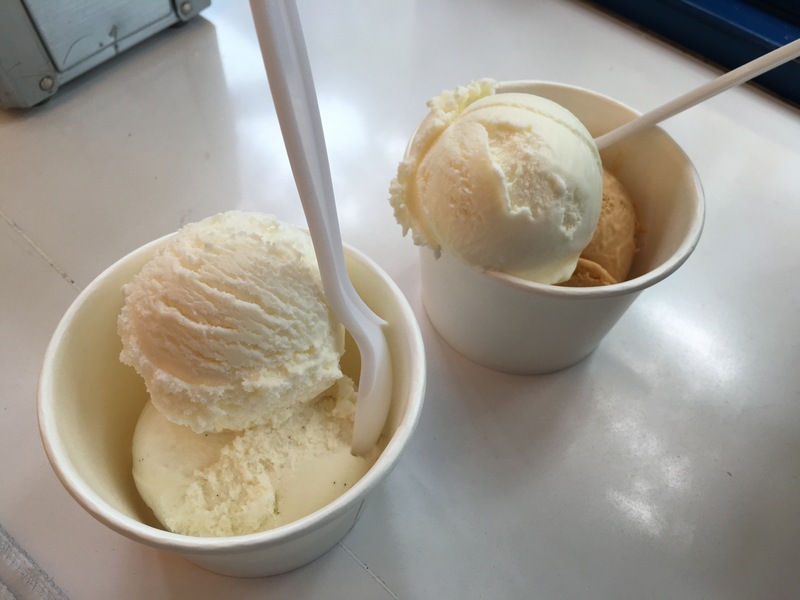 If you like plain flavors like vanilla, enjoy it as is, but it’s an excellent flavor to pair with something else. Sweet potato mello – It’s like the innards of sweet potato pie. And it’s sweeter than you’d think. So, so good!!! 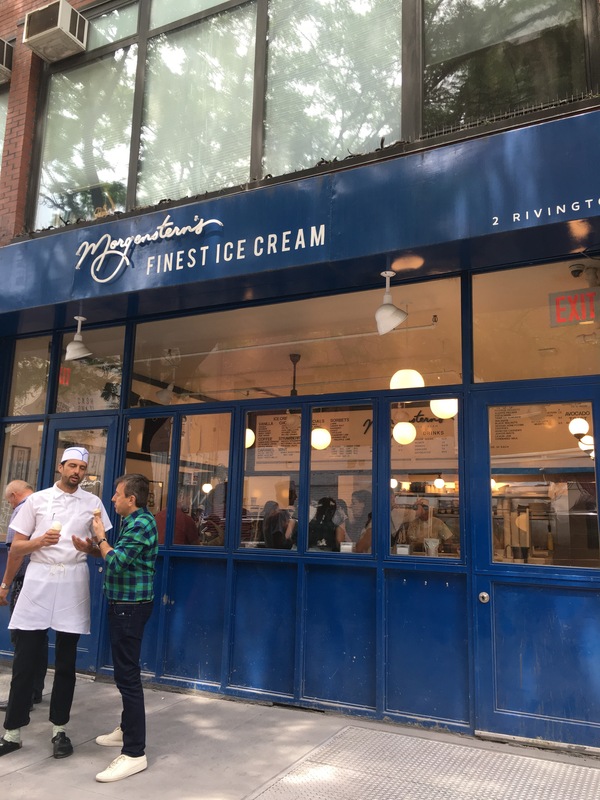 There are a lot of amazing ice cream places in New York City but I highly recommend a stop here! If you’re used to super sweet ice cream and giant portions, this place might change your expectations for the future. 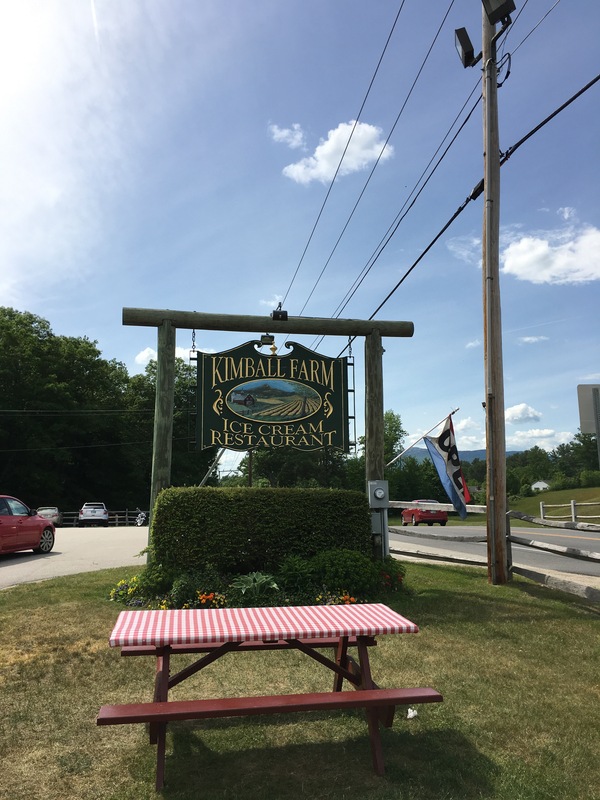 Kimball Farms – Worth the hype? 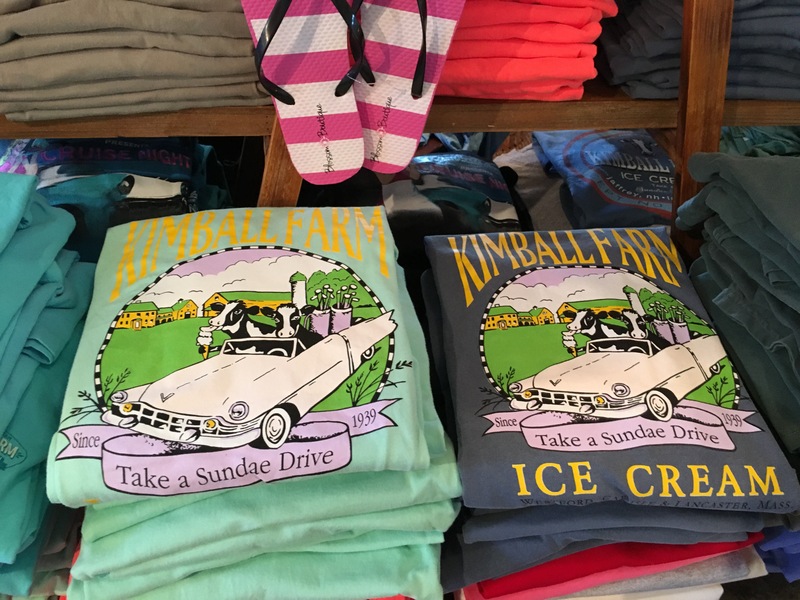 I wanted to love Kimball Farms. 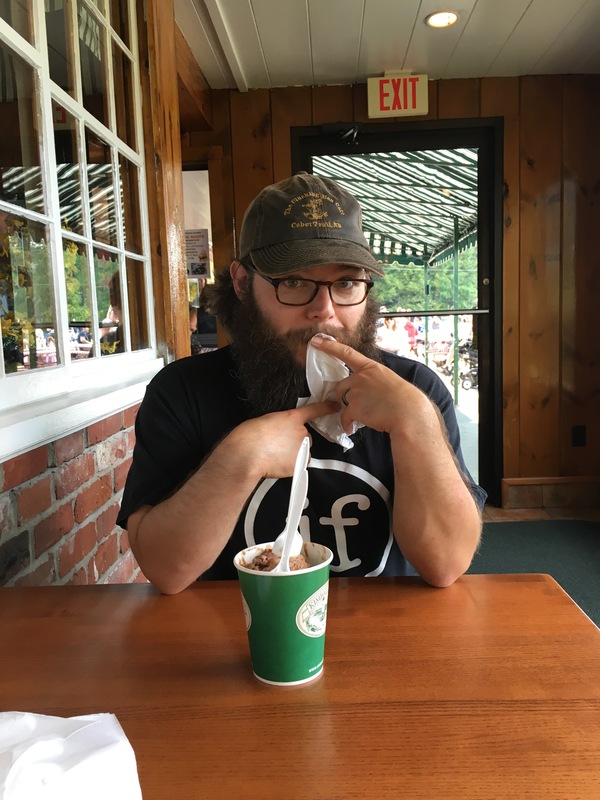 It came highly recommended to us by a trusted ice cream connoisseur, and with multiple locations it is well-known in parts of Massachusetts and New Hampshire. It’s an extremely extensive building in an absolutely gorgeous part of rural, southwest New Hampshire. 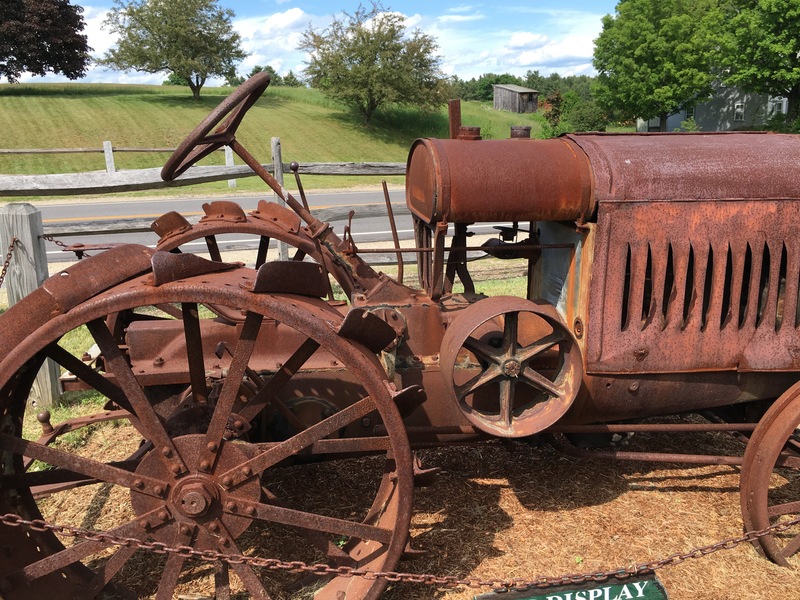 Gorgeous mountain and farm views, a full service restaurant (with a stand out front) and a charming gift shop with fun t-shirts, games and much, much more. In addition to a restaurant stand for food, there is, of course, the ice cream stand. When we were there, lines were extensive. They moved slower than I’ve ever encountered despite having three or four lines running. It took fifteen minutes for the pair in front of us to be served! Based on the conversations I overheard, and that I partook in, part of the pacing may be because it is unclear from the sign that you have very limited options when you order. Long-time readers know I love variety. Offer me a sampler and I’m in. Let me throw multiple flavors into a scoop and I’m your best friend. 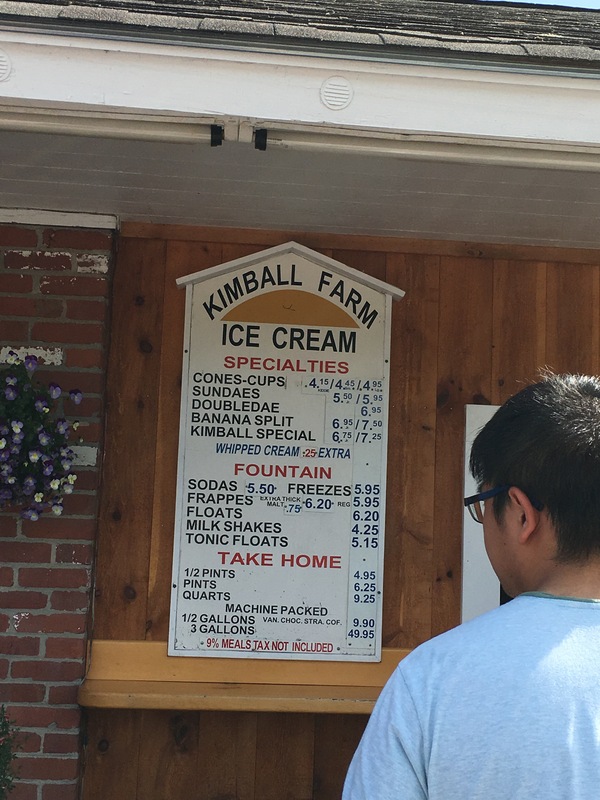 Well, at Kimball Farms, you get one flavor. The only way around it is to order a large. And since the small was very big, I can only imagine what happens when you go up two sizes. I was so disappointed about this. The menu of flavors itself had some interesting ones, and I tasted a couple. But with a giant line forming behind us, I felt pressure to make a choice and move along. So unfortunately that probably left a bad taste in my mouth, at least metaphorically. But let’s get to the important thing. How is the ice cream? Ross and I both settled on chocolate caramel whiskey. It seriously has all of those flavors in every bite. The chocolate isn’t too dark, with a rich, tasty caramel, and whisky. They meld together really well. I also tried the malted moo crunch. It has a slightly malted light chocolate base (a mix of vanilla and chocolate) with chocolate covered toffee balls. It does actually taste like a malted milk ball. I found it very refreshing. We paid $9.70 for our two smalls. The portions were ample but it felt pretty expensive because we couldn’t have two flavors. Frankly I get bored with big portions of one flavor. I would have happily paid more if I got two, even for less ice cream. These prices would fit in on the Seacoast but they’re unusually high for other parts of the state. 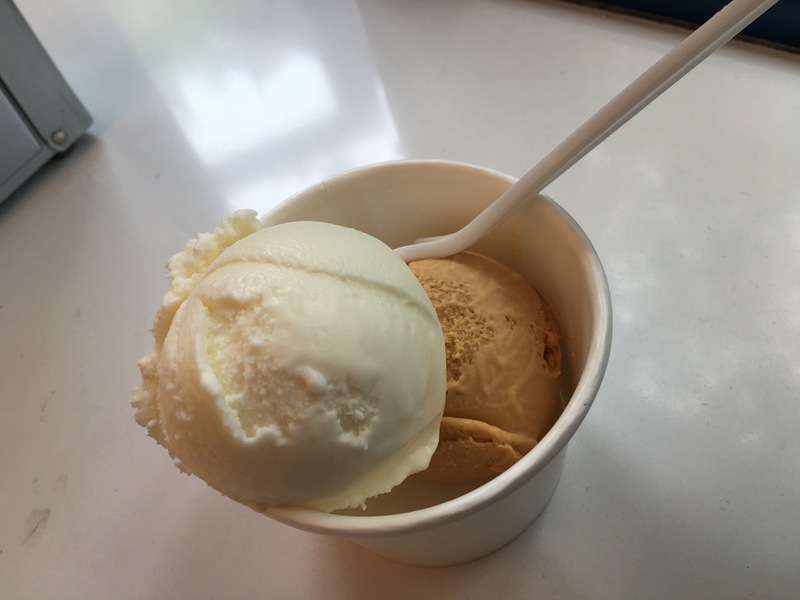 I should mention that I did find a few ice cystals, but overall the texture was very good, a little hard and fudgy for my taste but I enjoyed it. The restaurant looked pricy for fried seafood but fun, if that interests you, and the store reminded me of Yankee Candle. I get why people come here. Probably the best option in the area. But I won’t be in a rush to return. I do recommend trying it for yourselves, though. Maybe bring a friend, order different flavors, and switch halfway through.